Tomorrow marks the start of the 11th annual Reno-Tahoe Odyssey Relay, a 178 mile course placed in the scenic moutains of Lake Tahoe. The Odyssey is a long wandering. A relay run ideally suited for teams of 12 runners on a 178 mile course. Starting in Downtown Reno along the Truckee River. Traveling through the Sierra Nevada mountains and along the shores of Lake Tahoe. Circling back through the Northern Nevada high desert to where you began in Reno. The only changes of fortune you will experience will be for the better. You will have a great time. And when you finish, you will enjoy an overwhelming feeling of accomplishment and teamwork. And be the special guests at a party to celebrate your achievement. South Lake Tahoe is arguably one of the best summer destinations in California. From the laid back beaches to high altitude hiking, the outdoor activities are breathtaking in more ways than one. Drive around the lake for beautiful sights or cruise across the lake in comfort on the Tahoe Queen or MS Dixie. With endless activities to choose from, it seems hard to believe that Heavenly Resort is going to be adding to the list of things to do in Tahoe. If you are a thrill-seeker, adventure chaser, haver of good-times, then these new additions will undoubtedly appeal to you! Last Thursday the resort approved plans to add zip lines, canopy tours, “coaster”, ropes courses and more. While plans and completion date have yet to be announced, you can start planning your next adventure in Tahoe! Heavenly is just minutes from multiple homes like our Heavenly Estate or Bel Aire Beauty. For more options, view our listings and book today! For more information on Heavenly’s planned adventures, check out their plans here. It’s that time again! The Lake Tahoe sun is shining and the stars shine just a bit brighter. 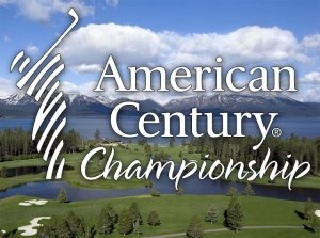 The Annual South Lake Tahoe Celebrity Golf Tournament will be taking place July 19th-24th, 2015. Catch a glimpse of your favorite celebrities, athletes and more at the Edgewood gold course this summer. We encourage all our guests to call the Marina’s and Launch Sites prior to making your plans. We have included the phone numbers and web site links for each so you can learn more about current conditions, hours of operation, trailer parking, and fees. All boats MUST be inspected and pass the inspection for invasive species including the Quagga Mussel prior to launching. If your boat does not have a “tag” indicating the boat has passed inspection, you will not be allowed to launch. Visit http://tahoeboatinspections.com/inspection-locations/ to find the most convenient inspection location for you. Can currently launch boats up to 25’. As the lake recedes in July and August, call ahead to see if they can launch your boat. An affordable launch site. Due to the closing of Sand Harbor’s boat ramp and the low level around the lake, expect this site to be very congested. Trailer parking is may be limited or prohibited where you are staying. If you are staying in a home at Tahoe Keys, Trailers may not be parked on the street or in a driveway. 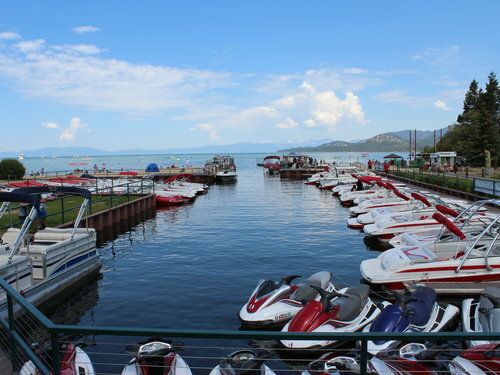 Tahoe Keys Marina offers trailer parking for a fee. For all homes, trailers must be parked on a paved service and count as a vehicle in the maximum number of vehicles you are allowed to park at the home. The boat ramp at Cave Rock will be closed Wednesday, May 13th 2015 for maintenance reasons. Lake Tahoe Nevada State Park will be combining several small projects at this facility that will make the one day closure necessary. 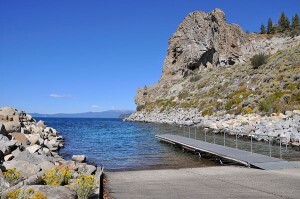 The park will be cleaning rock and sediment off the Cave Rock launch lane, repairing the dock and assisting a barge company with access to the lake for dredging activities in South Lake Tahoe. 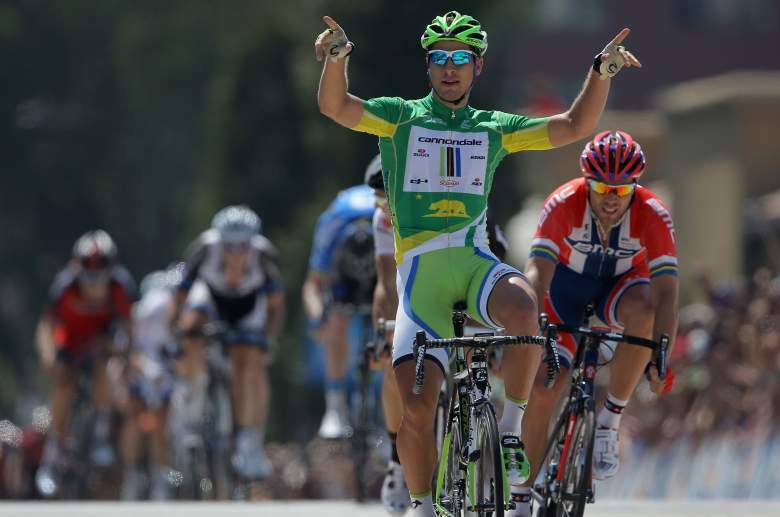 Known as the American Tour De France, the AMGEN Tour of California has begun! Many California residents are able to catch a glimpse of these cyclists rolling through their town. Begining in Sacramento, and working their way up and down California, these bikers have made appearances in several Northern California towns, along the Central Coast, and are heading even farther north for a brief stint in South Lake Tahoe. If you’re going to be in South Lake Tahoe this weekend, try to catch a glimpse of the show on Friday May 15th. If you are interested in more than just spectating volunteer positions are still open. And if biking isn’t your thing, don’t worry, South Lake Tahoe has plenty of activities going on this weekend. Keep in mind bikers will be out in full force so be sure to share the road! Want to catch all the excitment of the AMGEN tour from the comfort of your own home? Check out how to stream the events live. South Lake Tahoe has become a musical destination of late. From the amazing Summer Concert Series at Harvey’s to the Snowglobe Music Festival, world class musical acts have been traveling to South Lake Tahoe to perform. 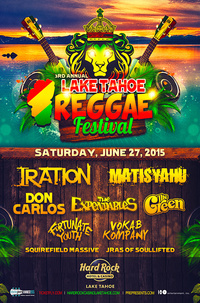 Not to be ignored this summer is the 3rd annual Lake Tahoe Reggae Festival, part of the Hard Rock Summer Concert Series. Mark your calendars for June 27th, 2015. This all-day reggae festival returns to Tahoe featuring an impressive lineup of artists including: co-headliners, Iration and Matisyahu. Also performing are top reggae groups including: The Green, Don Carlos, Fortunate Youth, Vokab Kompany and Squarefield Massive from Sacramento, California.